Artificial grass is still growing! Although artificial grass, sometimes otherwise known as synthetic lawn or astro turf, has been around for quite some time. If fact it dates back as far at the 1960’s. However its only in recent years that this industry has flourished, this is due to the vast improvement in the quality of the artificial grass products such as soft and dense artificial grass for residential and stronger and longer lasting turf for sports installations such as football, golf, tennis and more. Most artificial grass in the world is manufactured and shipped into Europe from China and the far east. However there is only one manufacturer of artificial turf in the UK and we are proud to be their approved installer as it means we can consistently deliver great quality products to our clients along with a genuine UK warranty. Green and beautifully lush all year round, whatever the weather! GRASSify are a well established, family owned and independently run business, specialising in the supply and installation of luxury artificial grass manufactured in the UK. From our main offices in Wimbledon, UK and Marbella, Spain we offer our services to europe and beyond. Our high quality product range is suitable for both residential and commercial use. We provide specifically designed, tailor-made solutions – whatever your budget or requirement is. As experts in our field, we offer extensive product knowledge to recommend the best solution for you. 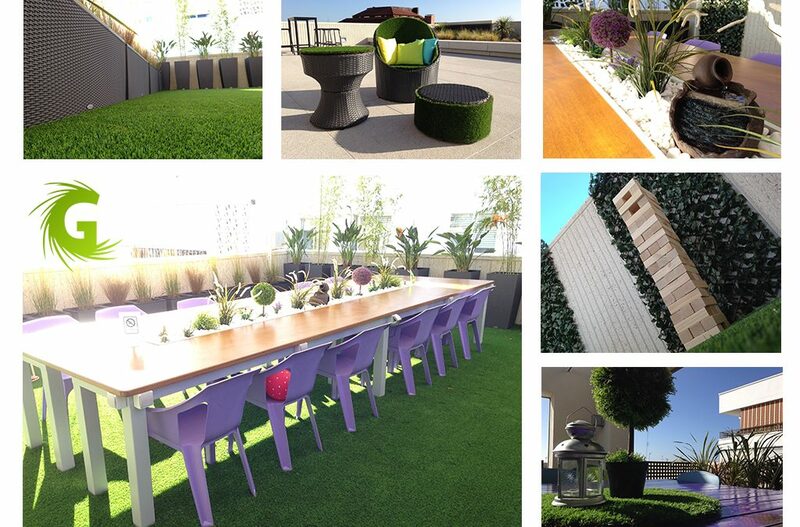 GRASSify applications are virtually limitless, the only limit is your imagination.